Deputy Sheriff Lou Ford is a respected member of his community even as he’s also a shrewd and sadistic sociopath. However, after the son of a local mogul is found dead with the beaten body of a local prostitute, suspicion falls on Ford. 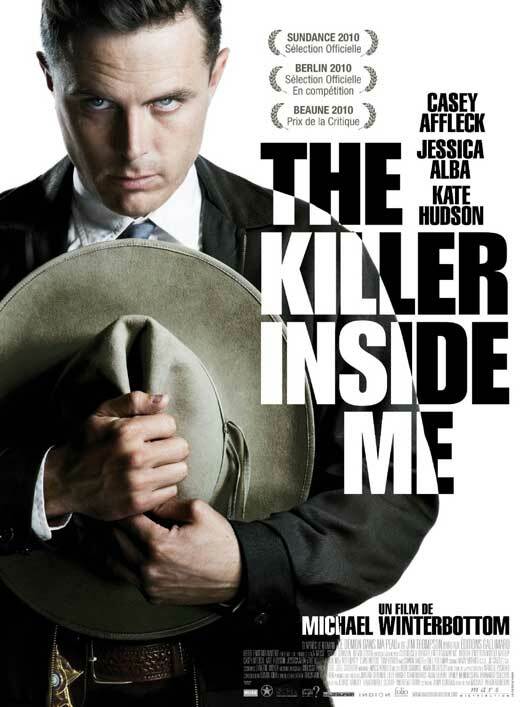 The film, which takes place in Texas 1952, is adapted from Jim Thompson’s psycho-noir novel of the same title. Fifty years after the book was written, this portrait of small-town America and its depiction of violence against women is deeply unsettling. Directed by Michael Winterbottom, this is a darkly disturbing film that’s brutal and visceral but not gratuitous. Ford’s Southern manners, baby face, and bland homilies are the epitome of evil. From Casey Affleck’s sociopath Ford, to Jessica Alba’s sad and compelling role as witness, to Kate Hudson’s moving performance as Ford’s girlfriend, the ensemble cast are the best elements of this movie. This isn’t a film for everyone, and this writer didn’t like the ending, but it’s nonetheless a very good film.